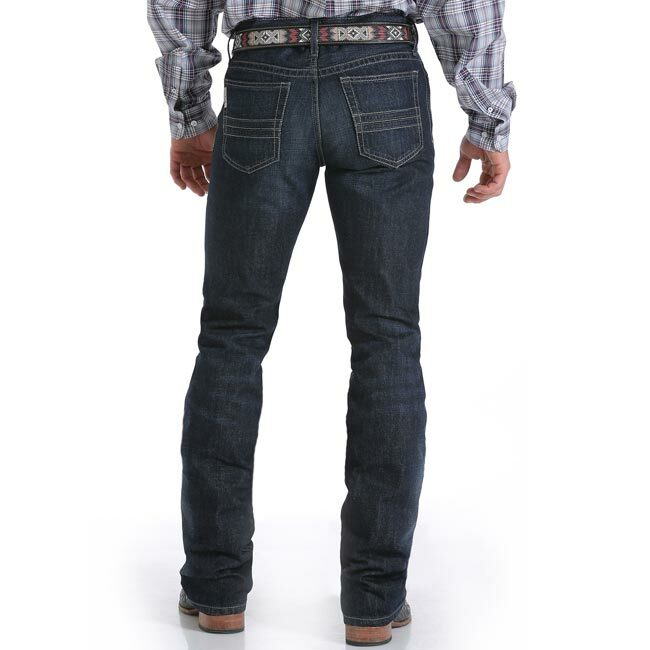 The Cinch Ian jeans are good-looking men's western jean with built-in comfort and durability. 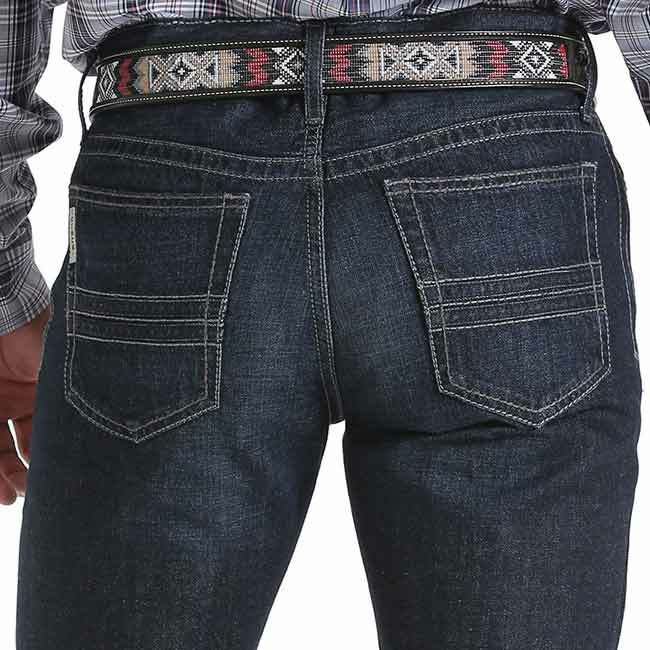 The denim is a dark stonewash with slight hand sanding, whiskering, tacking and chevrons to make the jeans feel and look broken-in but keeping their overall darkness. 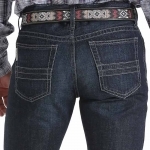 The back pockets have the belt-loop inspired Cinch Jeans signature stitch. 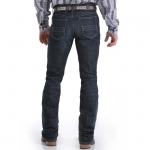 A great pair of jeans for the guy that likes clean look and dark denim.